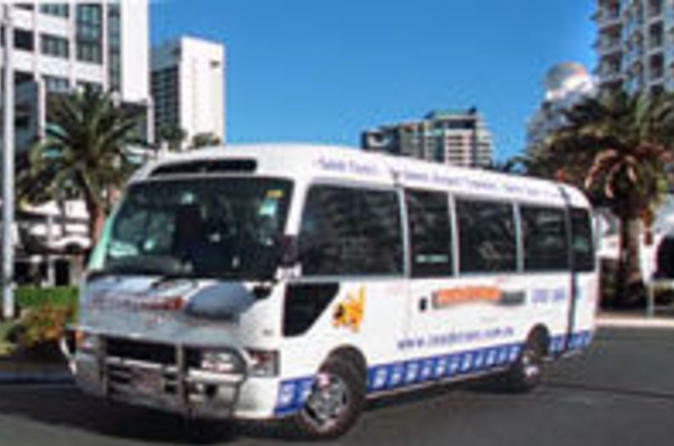 Whether you’re traveling individually, as a couple or in a group, your transport needs are covered by this private transfer service from your hotel in Brisbane CBD or Gold Coast CBD to Brisbane Airport. At the end of your stay in Brisbane or the Gold Coast, your driver will collect you from your hotel at a prearranged time. Settle inside your comfortable vehicle, travel to the airport and hop out at the domestic or international terminal according to your flight destination. Simply note your flight details as well as your Brisbane or Gold Coast accommodation details on booking. Your transfer will be confirmed instantaneously and you will receive a travel voucher to present to the driver. Approximately 24 - 48 hours prior to departure from Brisbane or the Gold Coast, you will be required to reconfirm exact pickup time and place (the contact number will be provided on your travel voucher).